Oregon's minimum wage workers will receive a 30-cents-per-hour raise beginning next Jan. 1, bringing it to $7.80 per hour. Oregon's minimum wage currently is the second highest in the nation, behind Washington's $7.63 per hour. Washington is expected to adjust the rate for inflation at the end of September. 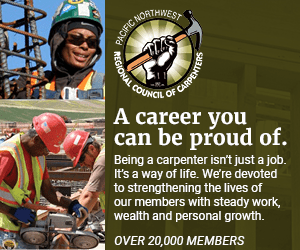 "The rising cost of living makes a serious dent in many workers' paychecks, but it hits the lowest paid in the worst way," said Oregon Labor Commissioner Dan Gardner, who announced the wage hike. "Oregon's minimum wage law makes sure these workers' wages keep pace with rising costs. It is critical for our local communities that wages and incomes also rise to help stabilize our state economy." This year, 10 state legislatures have increased their state minimum wage rates above the federal rate of $5.15 per hour, which has not changed since 1997. In all, 23 states, in addition to the District of Columbia, pay more per hour than the federal minimum wage. Recently, both California and Massachusetts raised their minimum wage rates to $8 an hour starting in 2008. In addition, ballot measures this fall in six other states are proposing to raise their minimum wage rates. "Once again, Oregon is leading the way," Gardner said. "I am pleased many states are now raising their minimum wage rates to allow folks to catch up with rising costs as we do annually here in Oregon. States need to be able to continue to have a strong say here, and we can't let Congress take our states' rights away." In November 2002, Oregon voters passed Ballot Measure 25, which requires the labor commissioner, who directs the Bureau of Labor and Industries, to annually adjust the minimum wage for inflation based on increases in the Consumer Price Index. The annual adjustment is to be calculated every September, rounded to the nearest five cents, and becomes effective the following January. The Consumer Price Index increased by 3.8 percent, which translates into a 30-cent-increase under this formula. The United States Bureau of Labor and Statistics publishes the Consumer Price Index, a measure of the average change in prices over time on a fixed "market basket" of goods and services, such as food, shelter, medical care, transportation fares and other goods and services people purchase for day-to-day living. "It is an important time to remember that almost every dime of these workers' pay goes directly to local businesses for food, gas and clothing," Gardner said. "This cost of living increases helps them meet their families' needs on their own." Gardner, who fought efforts to repeal the annual cost of living adjustment during this past legislative session, pointed out that earnings for minimum wage workers continue to fall short of the federal poverty line — set at $16,090 a year for a family of three in 2005. According to the Oregon Center for Public Policy, a minimum wage worker in Oregon supporting a three-person family by working full time, year-round earned $15,080 in 2005, $1,010 less than the federal poverty line. In addition, U.S. Census Bureau statistics released this year showed the typical Oregon household's median income has fallen $4,638 in inflation-adjusted dollars since 1999-2000. "Unfortunately, the data continues to show that despite the state's job growth — ranked sixth in the nation in 2005 — many Oregon families are not gaining ground when it comes to wages and income," Gardner said. In 1996, voters approved a ballot measure that gradually increased the minimum wage by $1.50. That increase was phased into place in 50-cent increments through January 1999. The passage of Measure 25 increased Oregon's minimum wage of $6.50 per hour to $6.90 per hour effective Jan. 1, 2003. Employers will receive a poster reflecting the new rate in December in time to post it on Jan. 1. New posters will also be available for downloading on the BOLI website in December.